I told you it will keep coming. You wanted a full summer of incredible tours well here is yet another one that will leave you dizzy in excitement. 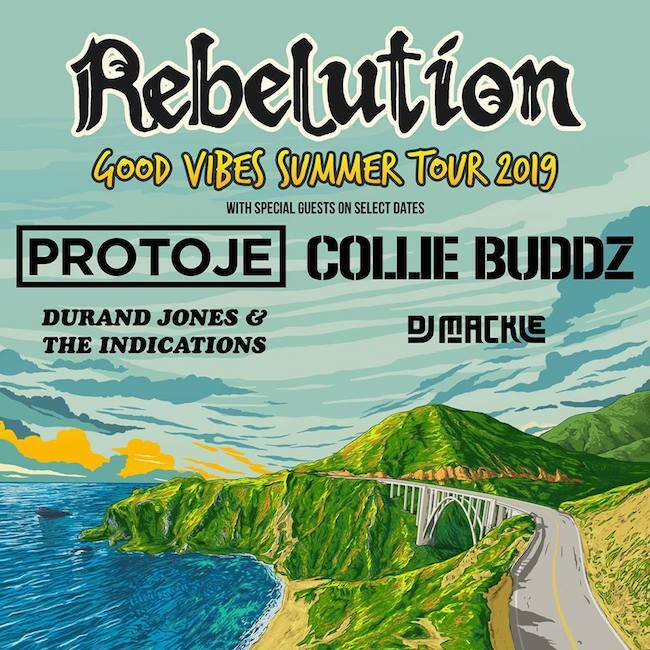 Rebelution will be hitting the road this summer for the Good Vibes Summer Tour with our Protoje, Collie Buddz, Durand Jones & The Indications and DJ MACKLE on select dates! For all shows and who will be on which one see below. 6/13 - Albuquerque, NM +! 6/14 - Flagstaff, AZ +! 6/15 - Chula Vista, CA +! 6/16 - Santa Barbara, CA +! 6/19 - Fresno, CA +! 6/20 - Avila Beach, CA +! 6/21 - Sacramento, CA +! 6/22 - Berkeley, CA +! 6/23 - Bend, OR *! 6/27 - Boise, ID *! 6/28 - Eugene, OR *! 6/29 - Redmond, WA *! 6/30 - Missoula, MT *!